Snapple, originally a small "health food" juice company that was founded in New York in 1972, rebranded and exploded into the beverage market in the late 1980s with its sugary sweet, flavored teas. One of Snapple's top-selling teas is Peach Tea Snapple. It stands to reason that the company created a diet version of one of its highest-selling teas—Snapple Diet Peach Tea. Here's how this tea compares to other teas in the market when it comes to diet aftertaste and fruity flavor. Snapple has a bunch of sugar-free or low-sugar beverages (eight to be exact) that offer plenty of options if you need or want to have a sugar-free lifestyle. Some are more traditional with flavors such as diet green tea, diet lemon tea, and diet raspberry tea. Some of their more catchy teas if you are looking for something with a little more pizzazz include Diet Noni Berry and even Diet Trop-a-Rocka tea, which is described as "mango, pear, papaya, and cinnamon flavors got together with fresh tea leaves and started a rocking band." When you first pop open (the top is a twist off, but it makes a pressurized pop sound upon opening) a bottle of Snapple Diet Peach Tea, the first thing you will most likely notice is a pleasant, fresh peach scent. After a large gulp of the medium-brown beverage, the peach flavor is more on the nose than on the tongue. You may find that the peach flavor is dull, perhaps lacking in comparison to what the strong scent leads you to believe you would experience. When you drink fruit-flavored teas you should not expect a full-fruit flavored juice, you are expecting a tea with an essence of the fruit flavor. This beverage, as the aroma suggests, has a decent amount of peach flavoring. There is no mistaking it, this is definitely a peach drink. It might be hard to discern it's tea. The "tea" part of it gets overwhelmed by the "peachiness." And, much of the drink's character comes from the sugar-alternative aftertaste. The aspartame tastes somewhat abrasive, almost medicinal, and is definitely present in each sip. 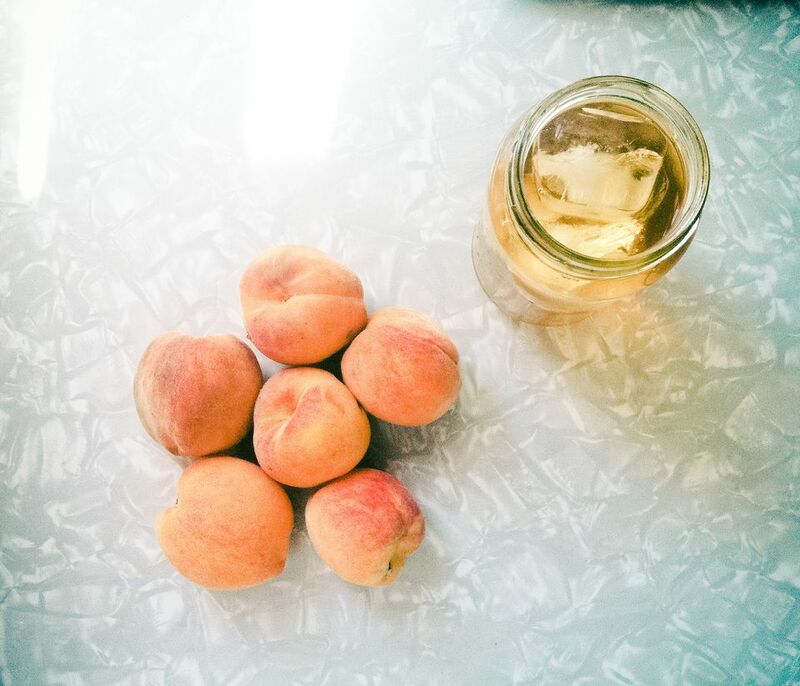 In addition, the sweetness is not overly cloying but it does feel a little unpleasant going down like you are swallowing a drop or two of peach perfume in your tea. Overall, Snapple Diet Peach Tea is just an OK product. It is definitely comparable to other diet teas on the market such as Lipton Diet Green Tea Citrus Flavor. In terms of cutting calories from the regular version of Peach Tea Snapple, it delivers there. The regular version has 160 calories, 40 grams of sugar, and 40 grams of carbohydrates. Snapple Diet Peach Tea has 10 calories and no sugars in a 16-ounce bottle. So, is Diet Peach Tea Snapple a thirst-quenching drink you would want to enjoy on a hot day? Certainly, give it a try if you enjoy diet drinks. Or, if you like things that smell great, open a bottle. Take a whiff. But, do not expect clean flavors and the overall refreshing nature of the regular versions of some teas you might be used to. This tea definitely has an aspartame aftertaste and an abrasive finish that does not sell as well as some of its competitors.